1. Prepare crumb crust: In 9-inch glass pie plate, with fork, mix crumbs and butter until crumbs are evenly moistened. Press mixture firmly onto bottom and up side of pie plate. Preheat oven to 375 F.
2. 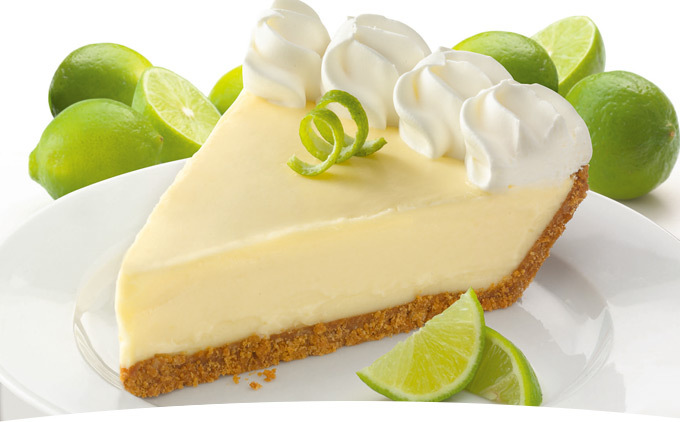 Prepare lime filling: From limes, grate 2 teaspoons peel and squeeze 1/2 cup juice. In medium bowl, with wire whisk or fork, mix condensed milk with lime peel and juice, and egg yolks until combined. 3. Pour filling into prepared crust; smooth top. Bake pie 15 to 20 minutes or just until filling is firm. Cool pie on wire rack 45 minutes, then cover and refrigerate 3 hours or until well-chilled. Garnish with lime slices. Makes about 10 servings. * Each serving: About 280 calories, 14g total fat (7g saturated), 6g protein, 36g carbohydrate, 1g fiber, 133mg cholesterol, 200mg sodium. For thousands of triple-tested recipes, visit our website at www.goodhousekeeping.com/recipes/. (c) 2016 Hearst Communications, Inc.